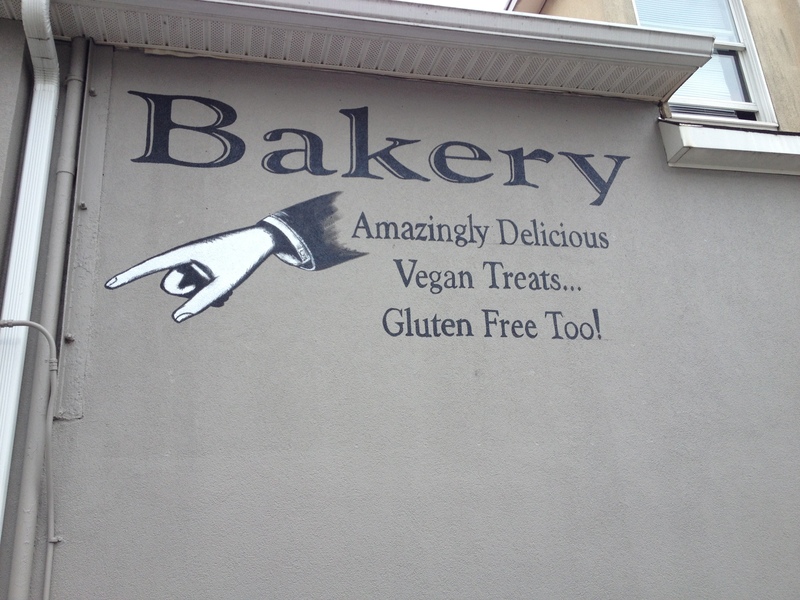 About a month ago, my boyfriend Luke and I were driving through Matawan, NJ when I noticed a sign that said, “Bakery Amazing Delicious Vegan Treats… Gluten-Free Too!” When I pointed it out to Luke, we immediately looked at each other and said “Let’s try it!” It wasn’t until after we turned into the parking lot when I realized that it was the new location of a gluten-free bakery I’ve been dying to try — Papa Ganache. I first heard of Papa Ganache a few years ago from an old co-worker who was vegan. One day he brought in a slice of their vegan sponge cake and allowed me to try a small piece. It was delicious but it never gave me the incentive to go and check out their other desserts. I wasn’t gluten-free at the time (or vegan, but I’m not vegan now), so I didn’t think there was a need to go when there were plenty of regular bakeries around. Now that I’m gluten-free, it’s an entirely different story! Before I get into all of the delicious treats I had, I want to mention how awesome the atmosphere is in this place. It’s perfect for the cafe junkies, especially the ones who inhabit Starbucks on a daily basis. It’s quiet and comfortable; perfect for a study session a work environment (if you telecommute), or a place to bring clients for a lunch or a snack. I would highly recommend this place for any of these instances or any occasion really! 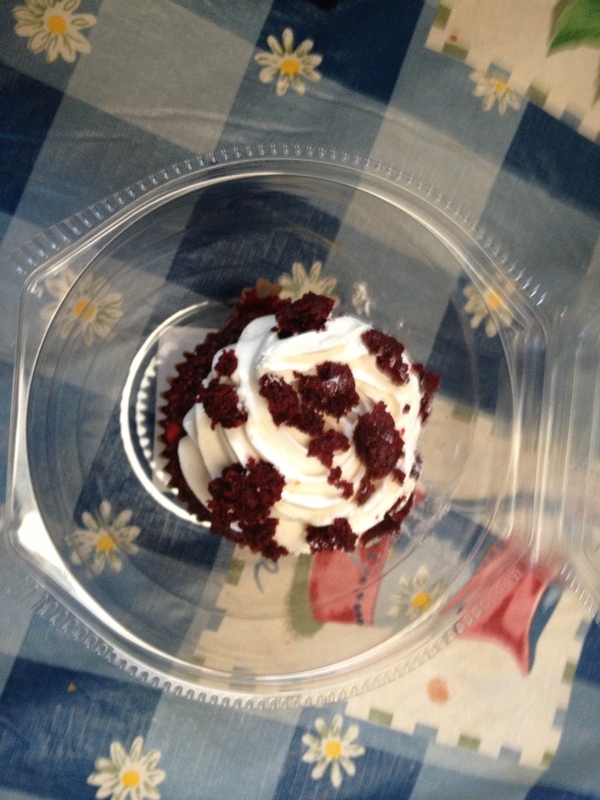 The red velvet cupcake was moist that it practically melted in my mouth. It was so delicious that I seriously wish I had gotten two of them! 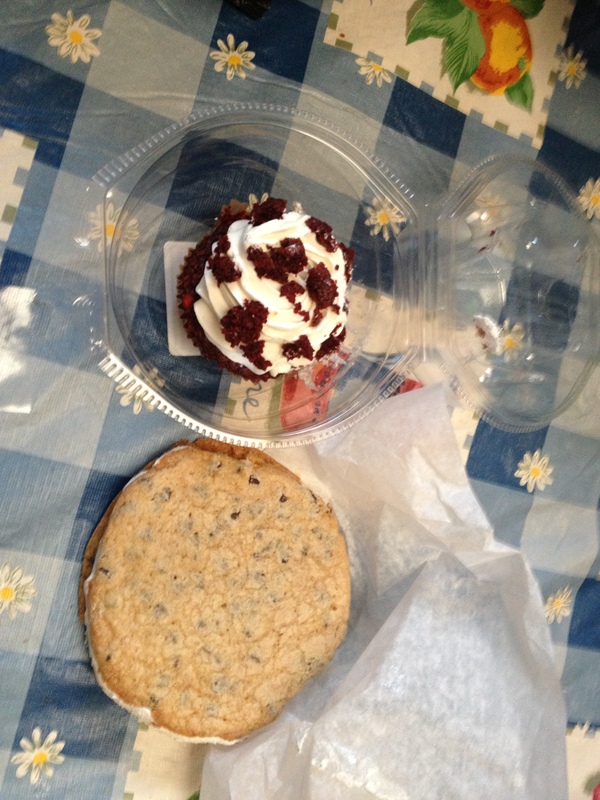 The chipwhich was also great, but I had a lot of problems finishing the entire cookie. As you can see it’s huge and it was also too sweet for my taste! I definitely think that they should make smaller portions of it, like some of the other cookies I saw on their shelves. 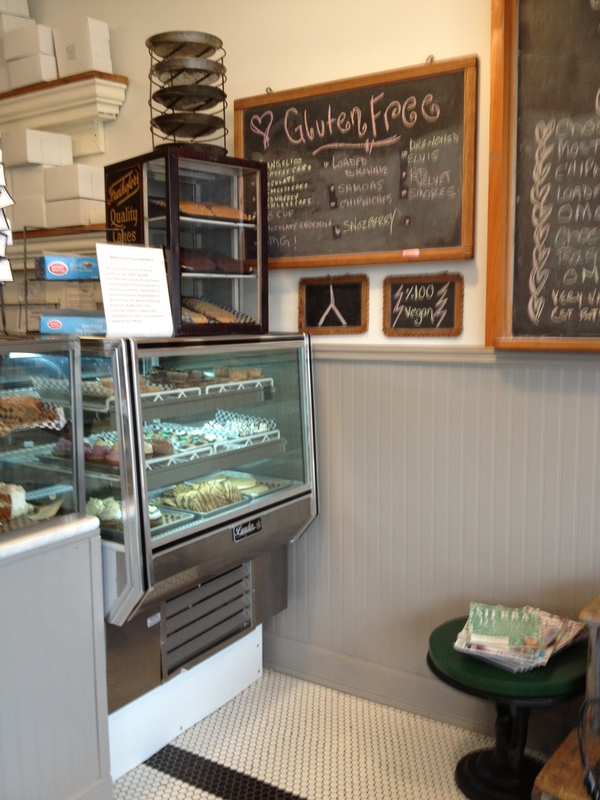 Overall, I really enjoyed my first official Papa Ganache gluten-free experience! 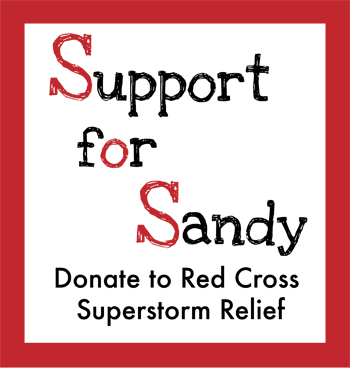 If you call the Jersey Shore home, I highly suggest you stop by their new location at 106 Main Street, Matawan, NJ! 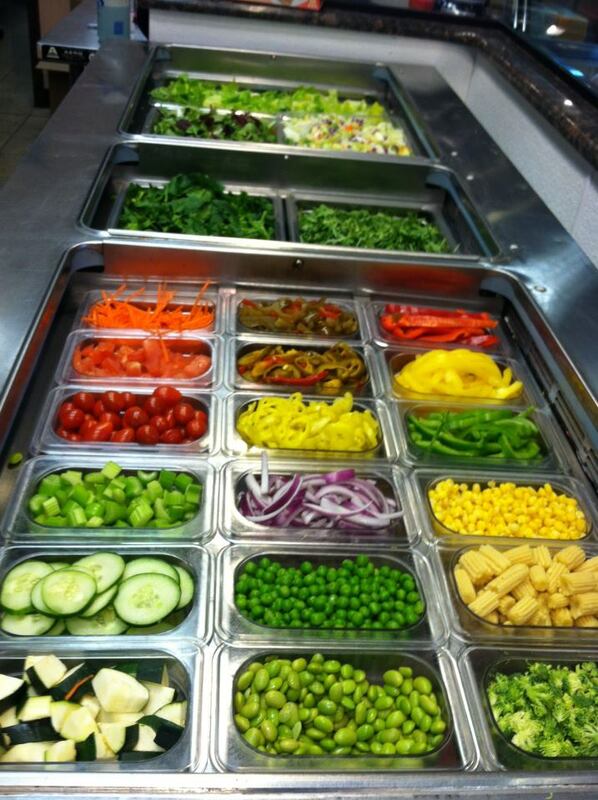 It’s a beautiful environment, filled with the most delicious goodies! I definitely plan on going back and dragging my friends and family along with me! When I first told my friends and neighbors that I was having two gluten-free New York style pizzas delivered to my front door from Chicago, IL, they were in complete disbelief. I mean, can you really blame them? The idea of having a pizza, whether it be gluten-free or not, delivered anywhere in the world via Fed-Ex sounds completely crazy, right? But the idea actually exists and is pulled off extremely well by the folks over at City Pizza Overnight. I have to admit, throughout the process, I was quite nervous about ordering these pizzas. I’ve never ordered food on the internet before, and sometimes you just hear the craziest stories! But Adam, the owner of City Pizza Overnight, really works with you to make sure you get the full experience! I think I can speak for Sara, Elizabeth, and I when I say that he really went above and beyond in making sure we were comfortable throughout the entire process. Especially in my case, I mean anyone who is able to work with my allergies and gluten-sensitivity without getting frustrated deserves an A+ in my book! In addition to the excellent customer service, the delivery was quick and easy! We even knew exactly when our pizzas were arriving via e-mail and the pizza arrived right on time! 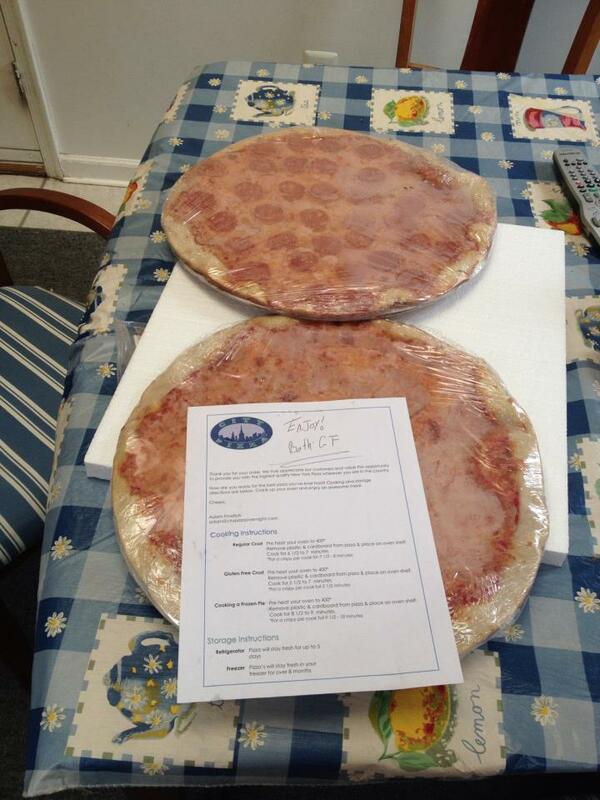 We didn’t even have to sign for it, which is a huge plus for anyone who can’t be around for the pizza’s arrival. In my case, the pizzas arrived at 3pm, so I had to freeze it for a few hours before digging in! I received two pizzas, one regular and one pepperoni. My family and I decided to try the pepperoni first, because it’s been a really long time since my gluten-free mother or I have had a pepperoni slice! Once dinner time came around, we popped the pie in the oven, and 10 minutes later we had ourselves a mini pizza party! The pepperoni pizza was delicious! It felt like I was eating a regular pepperoni pizza slice! Unlike the homemade gluten-free recipes I’ve tried, you can’t even tell it’s gluten-free! 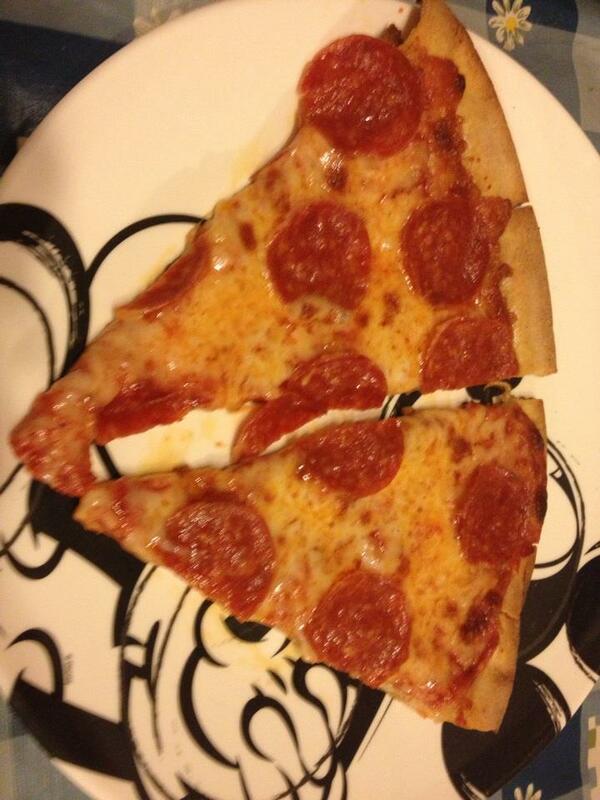 Out of the two, I think the pepperoni pizza was my favorite just because it felt like the old non-gluten free times. The only thing I disliked about it was that it was really greasy (especially compared to the regular) but even that wasn’t a HUGE problem for me. It was expected, actually! The next up was the regular, which I tried with my boyfriend Luke this past Sunday. For the purpose of this site, I tried mine plain and with garlic powder. 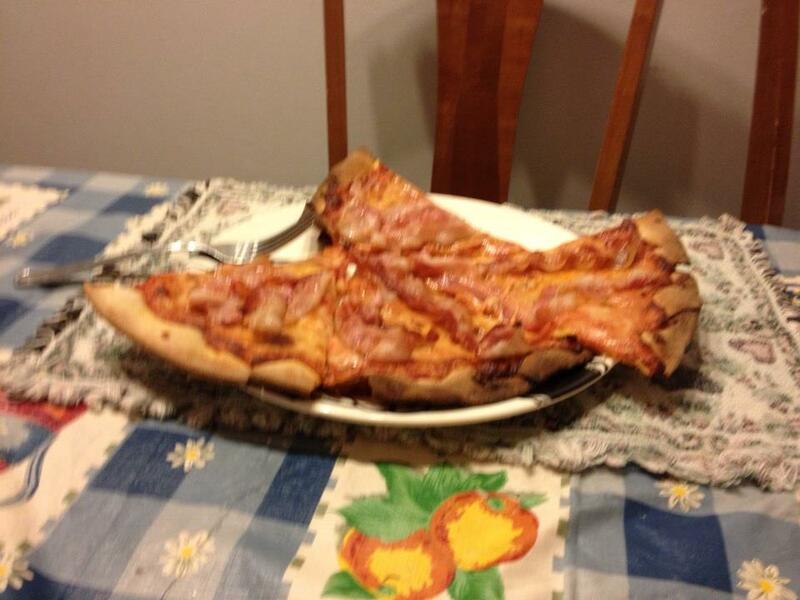 My boyfriend, on the other hand, decided to get creative and slather bacon all over his pizza. 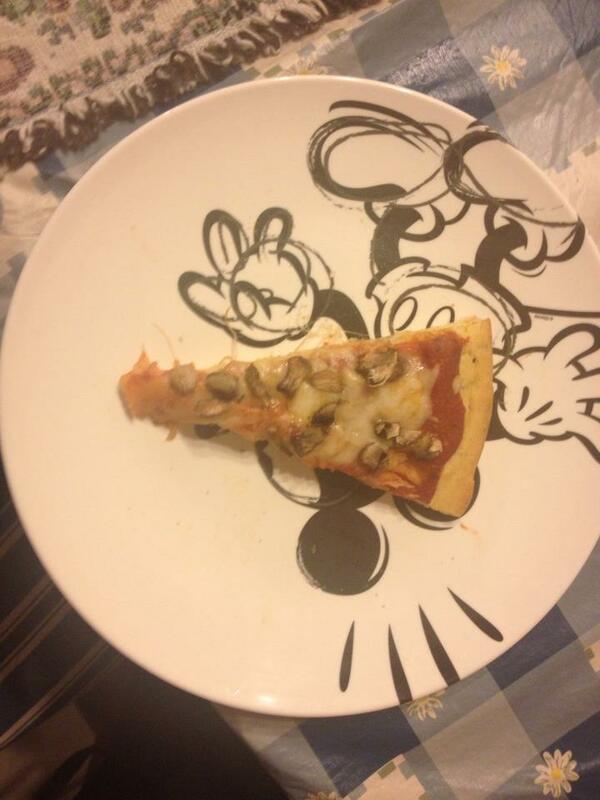 Regardless of our different concoctions, we couldn’t stop raving about how delicious the pizza tasted! He even argued with me vehemently about saving a slice for my mom. 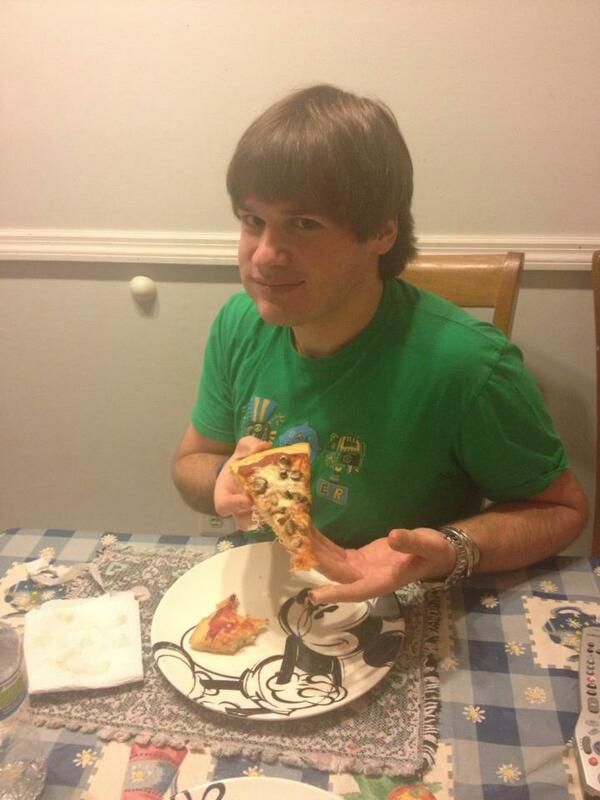 He wanted to eat 5-6 slices, it was that good! Overall, my experience with City Pizza Overnight was nothing but excellent. The service was fast and easy and the pizza was delicious, even days after delivery! I am already recommending City Pizza Overnight to my friends and family and highly considering ordering again next time I have a small get together! Over the last year, the one thing I learned is, when it comes to the gluten-free diet, one should always keep an open-mind and always experiment. I did just that this past week by trying gluten-free pizza for the first time! Gluten-Free pizza was something I always wanted to try since the first moment I stopped eating gluten but I was always a little apprehensive about it at the same time. I wasn’t sure if I’d like the crust and I’ve heard from some gluten-free friends that if it’s not made correctly, the pizza as a whole can taste like cardboard with sauce and cheese on it. But the on-the-fly recipe my family and I tried turned out to be pretty fantastic. 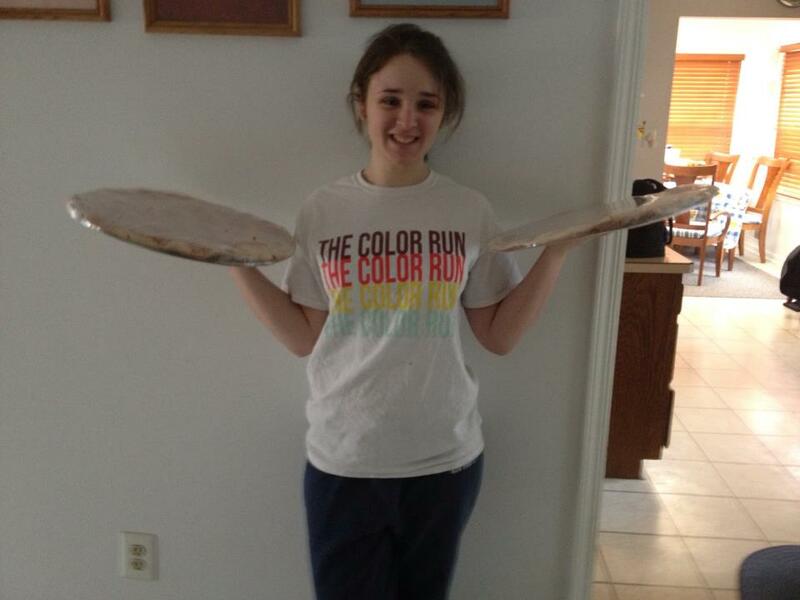 A lot of it came from my boyfriend Luke, who made his own homemade pizza once before using non gluten-free Bisquick. Technically, this recipe is essentially his concoction! 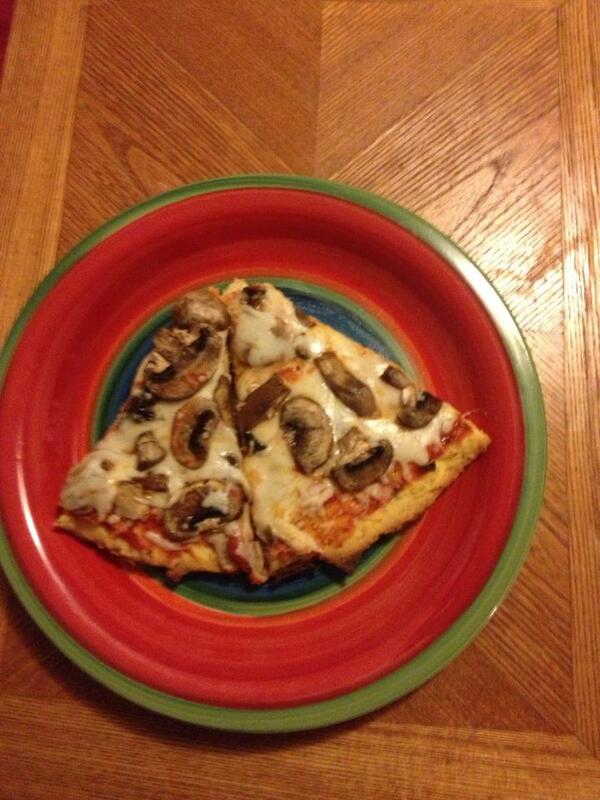 Regardless if you have or have not tried gluten-free pizza yet, I suggest you try this recipe! It’s really simple, affordable, and fun for the entire family! Stir Bisquick mix, Italian seasoning, water, oil, and eggs until well combined. Spread mix in pan. Spread pizza sauce, cheese, and other toppings over crust. 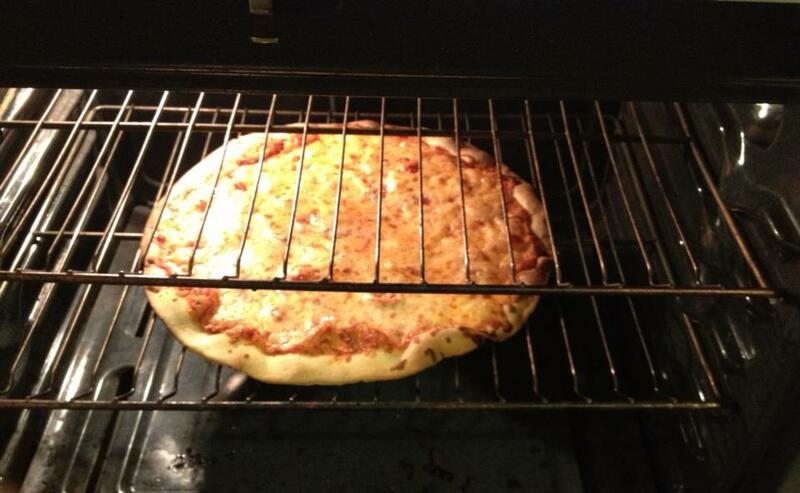 Bake 10-15 minutes longer or until cheese is melted. Hope you all enjoy this recipe! If you tried it, let me know what you thought in the comments! 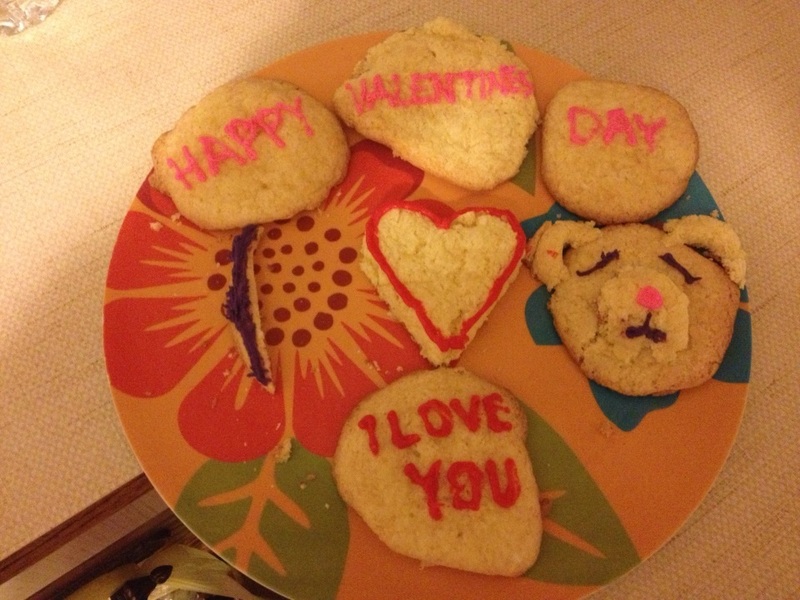 Since last year was such a yummy success, I decided that every year from now on I would give my boyfriend the gift of cookies along with his Valentine’s Day present! So this year, I decided to bake him sugar cookies again for the big day! Even better – these cookies are gluten-free, so I can have a bite of one if I want to! Needless to say, Luke loved them (as expected)! He was also really impressed with my cookie bear! Here is the recipe straight from the Wegmans box if you want to try them yourself this Valentine’s Day weekend! Let me know if you come up with some cool creative designs for your significant other! In an electric mixer, add 1/2 cup of Wegmans Gluten Free Sugar Cookie Mix and Butter, stir on medium until dough is crumbly. Add rest of mix and 1 beaten egg. Stir again until all components are mixed in. 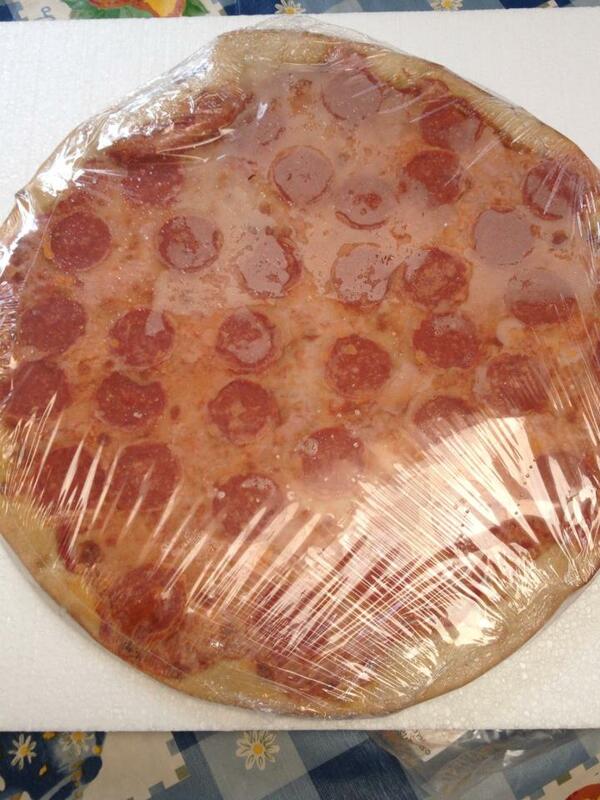 Flatten dough and place it on plastic wrap. Refrigerate for 1-1/12 hours. Take dough out of refrigerator, roll it into balls and separate it onto the cookie sheet, about 1-2 inches apart. Bake cookies 11-14 minutes until lightly golden brown. 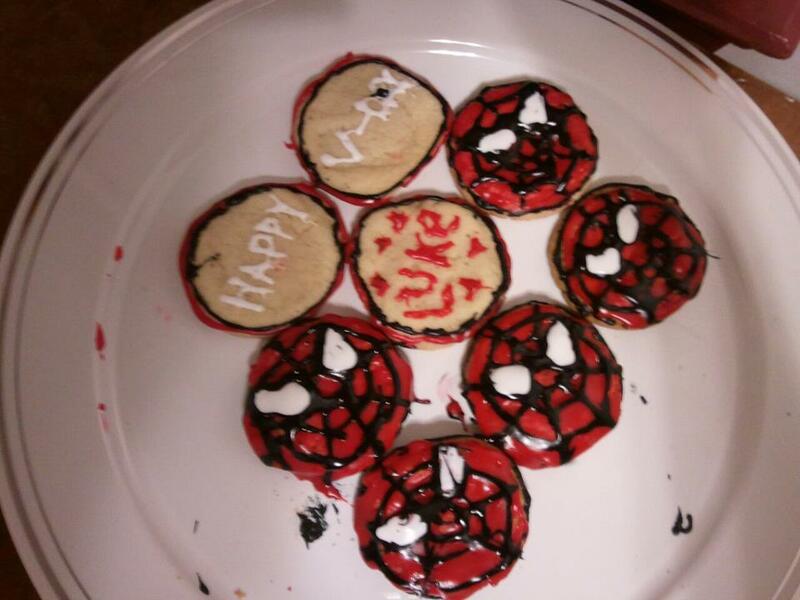 As far as decoration goes, I used the cookie cutters when the cookies were soft after it was cooked. 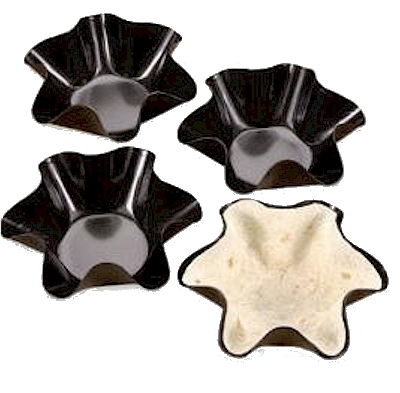 You can use the cookie cutters when the dough is raw and it will have the same effect. Hi Readers! 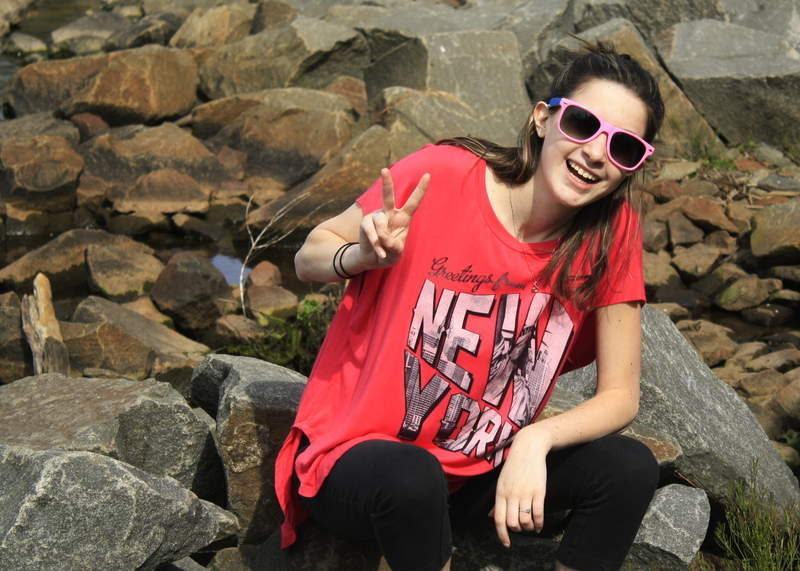 I’m Lauren, the new gluten free gal of the Small Chick Big Deals staff! Not to brag or anything, but I’ve only been gluten free for a year and I’m really good at scoping out the most affordable gluten-free products and restaurants in the Tri-State. I’m also practically a magician when it comes to concocting my own gluten-free recipes. So if you’re looking for some new ideas as to what to eat or where to go, stick with me and Small Chick Big Deals for the best of the best when it comes to all things gluten-free! 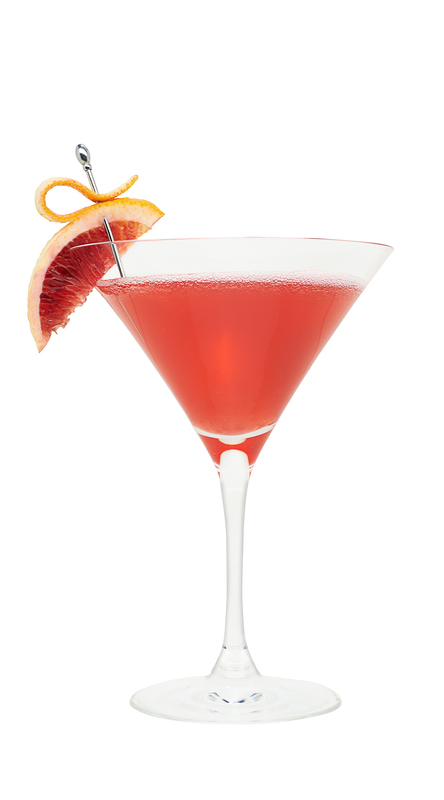 This week, I’m letting you all in on a not-so secret recipe created by yours truly! Like all of the recipes on SCBD, it’s really easy and affordable, and is practically perfect for lunch and/or dinner! 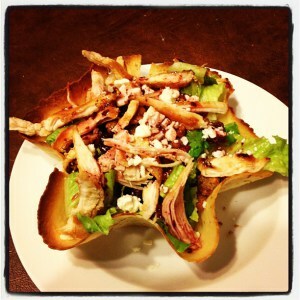 So without further adieu, here’s the recipe for my gluten-free tortilla salad. 1. Lay Toufuyan Gluten Free Wrap in a Perfect Tortilla bowls (like the one pictured). They are a great (and fun!) investment ($8.95 on AsSeenonTV.com). If you don’t feel the need to purchase one, laying the wrap flat on an oven safe pan works too! 2. Butter with PAM or melted margarine. 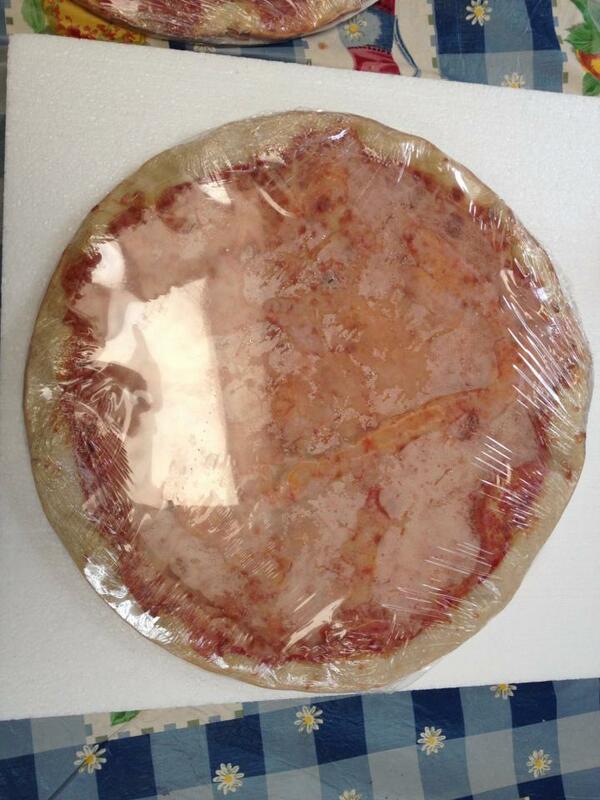 Put the wrap in the oven and preheat it to 350 degrees. For the fastest results, let the wrap sit in the oven while it is preheating. 3. Wait until the wrap turns a light golden brown, then remove it from the oven. Use your best judgement with this one, guys. 4. 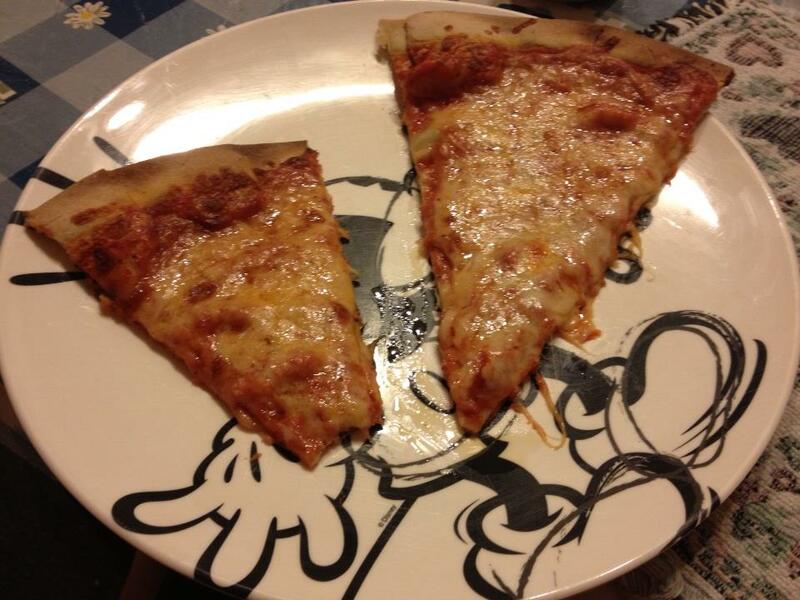 If the wrap is flat, put it on a plate or in a bowl. If you used the Perfect Tortilla bowl, remove the rap from the metal bowl pan. 5. Insert the rest of the ingerdients as much and in whatever order as you like (though it is probably best to put the lettuce in first). I typically put in about half a head of lettuce but that’s how much fits into the Perfect Tortilla bowls. With the other ingredients, I say, put as in as you want, just as long as it’s not overflowing the bowl/wrap. I like to use 2 small chicken breasts and sprinkle a small amount of the rest of the ingredients. 6. 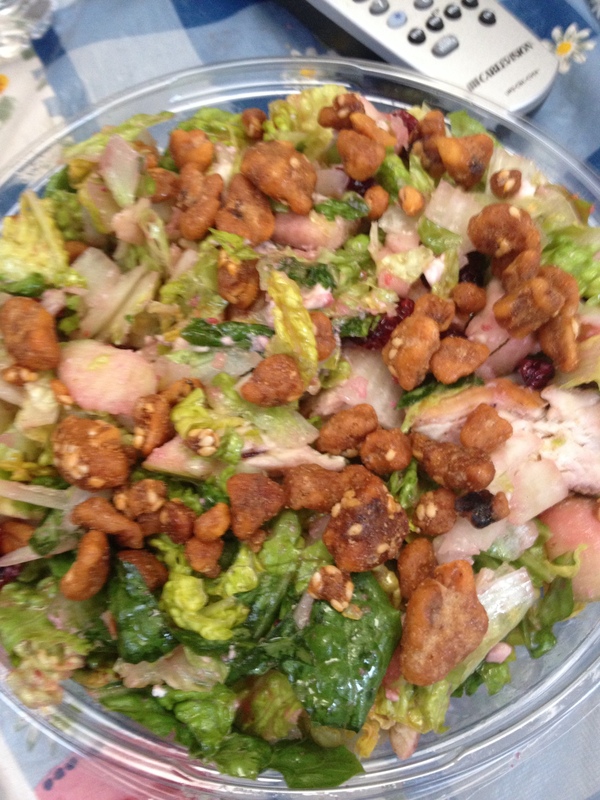 Mix in about 2 TBSP of Ken’s Raspberry Walnut Dressing (or dressing of choice) and Enjoy! Hope you guys enjoy my first gluten-free recipe! It’s a huge hit with my gluten-free mother and my not-so gluten free boyfriend so I hope you all like it too! I highly suggest purchasing those Perfect Tortilla bowls to get the full effect! It’s official I’m hooked on Chobani yogurt, you can find out why in my gluten-free post. Since I love it so much– I’m doing a giveaway! Leave a comment on this post with why you love Greek yogurt and you’ll be entered to win a variety pack of Chobani Greek yogurt! The winner will be chosen this Sunday December 2nd at 10pm randomly via random.org! Look out because I have more delicious giveaways coming up!